The specified file public://inline-images/another correction?.png could not be moved/copied because no file by that name exists. Please check that you supplied the correct filename. 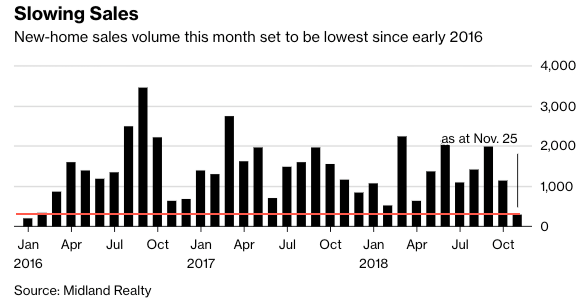 Back in October, Hong Kong’s housing market suffered its first decline in 29 months only days after HSBC became the first commercial bank to raise its prime lending rate, taking a hint from the Federal Reserve and the Hong Kong Monetary Authority in ending a decade of cheap money. 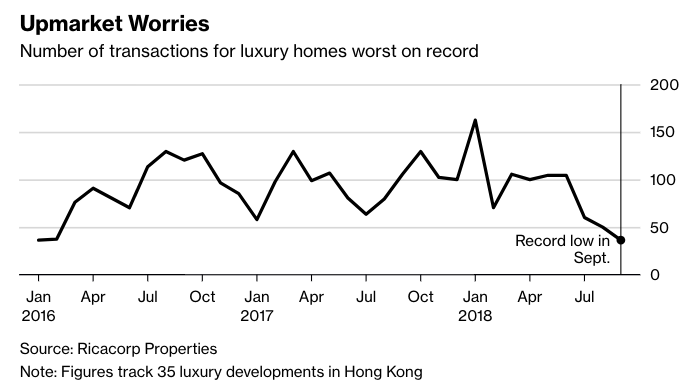 In that time, Hong Kong retained the world’s hottest housing market, but there is new evidence now of an immient slowdown. New-home sales this month have tumbled to levels not seen since 1Q 2016, according to Midland Realty data. 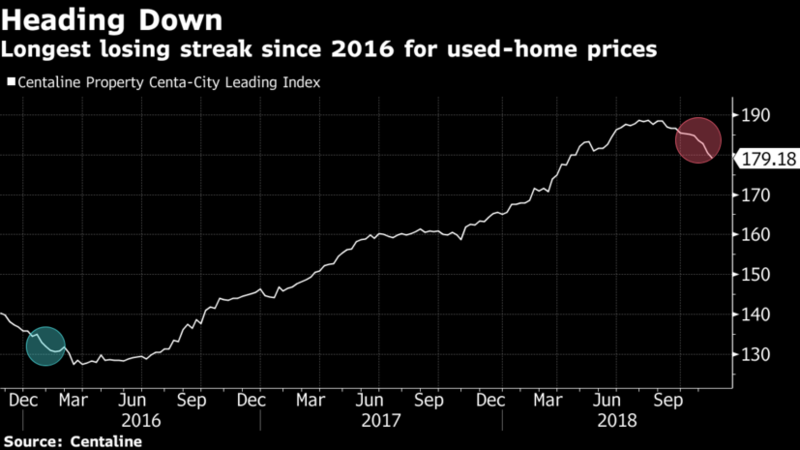 Meanwhile, home prices have fallen for two straight months, the longest losing streak since 2016, according to the Centa-City Leading Index. 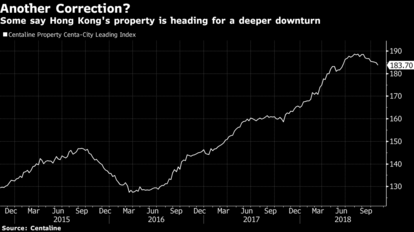 Bloomberg said other reports showed deteriorating sales at Country Garden, the 6th largest property developer in China, is fueling speculation that the world’s most expensive housing market is headed for a deep correction. Last week, home prices experienced the largest decline since March 2016, falling 1.3% week-on-week, the data showed. From August's peak, home prices have dipped about 5%. Goldman Sachs Group Inc. has forecasted a 15 to 20% correction into 2020, as the Hong Kong Monetary Authority is expected to raise rates in tandem with the Fed, according to a research report released Monday. 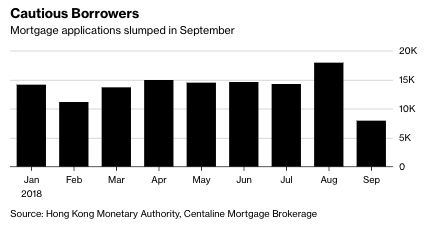 Mortgage applications recorded the most significant month-on-month drop in 20 years in September, according to Centaline Mortgage Broker Ltd. The number of applications slid 56% to 7,977, the Hong Kong Monetary Authority reported. The number of transactions for luxury homes is now the worst on record. Hong Kong has for decades been one of the most stable places in the world, however, with one interest rate hike and the threat of an imploding real estate market in 2019, it seems like regime change is imminent.